Last Friday we had a great interview session with Japan's leading superfood master, 'WOONIN'. Her natural style and her promising passion for attaining and delivering wellness inspires all of us! LC: Tell us how your career as Superfood Instructor started. I was working nine to five at a marketing company few years back, but I also had a strong passion for superfood and clean eating at that time. 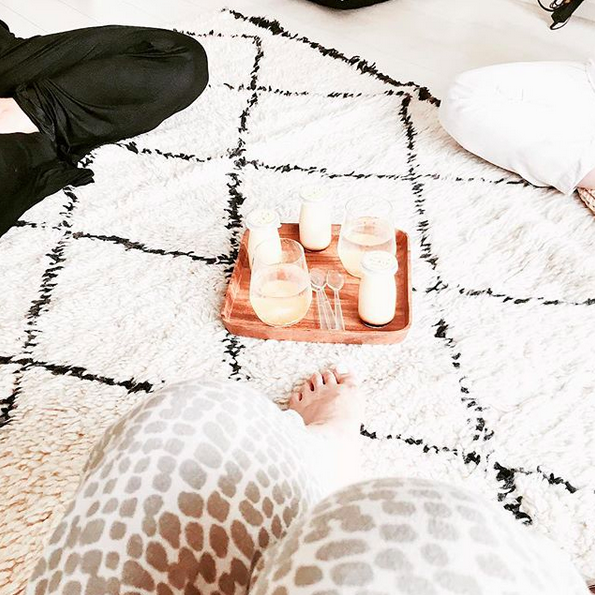 I started a wellness blog since then and even organised Kombucha parties from time to time... there were times where over 100 people came to the party. 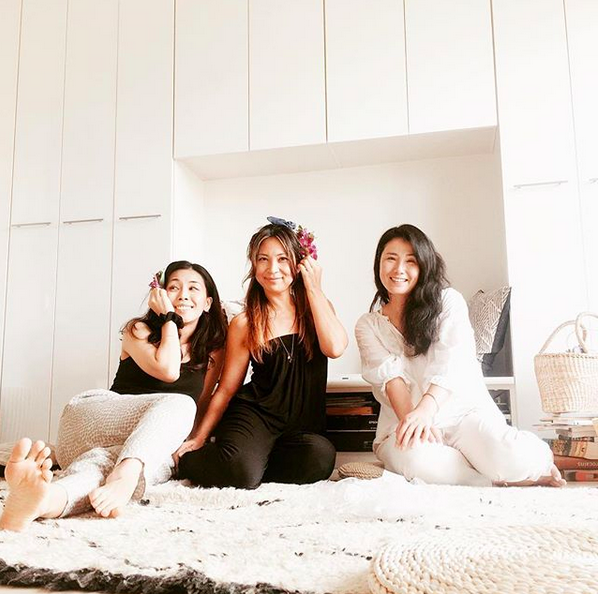 Back then, there weren`t much information about raw cacao, raw food, green smoothie, superfood and all the things we have now in Japan and that`s why an intimate connection existed between my blog followers and I. I even held few superfood lessons on weekends back in my OL (office lady) days. However I had to be at work on the weekends from time to time and that was tough for me. LC: What is your favorite recipe out of all the things you teach? WOONIN: Everything! I only teach whatever I love best. LC: Do you feel that the term SUPERFOOD has changed now at all since when started? WOONIN: Yes, so the food industry in Japan is using the term SUPERFOOD just for the sake of profit. My point is they don`t know what SUPERFOOD is essentially so they would just label something that sounds natural or least nasty - `superfood` and market it across Japan. The essence of Superfood is missing in their products, therefore there is not much effect that takes place on the person who consumes it.. for example, these companies sell superfood/raw food which is prepared with heat whereas these superfood/raw food are meant to be prepared without the heat..
LC: Is there anything you would like to tell Japanese women out there? Japanese people tend to stress themselves out so much, as to work hard means beauty for them and laziness is something very much like a sin. LC: Do you have a daily routine or something similar? WOONIN：No. I like to be free and go with the flow. LC: As you know, LOVE CONTRAST is a community platform which evolves around travel, wellness and scent… but what kind of trip/travel style is yours like? Whenever I`m overseas, I obviously visit juice bars and organic cafes because that’s what I like but going to these places actually make me feel like I`m at work and so it`s usually the places that doesn`t coincide with my job is the true OFF place for me. I went to the Middle East and Spain recently. I`m pretty much over with all the fashionable trendy places.. like New York and LA and Tokyo have so much in common these days so I`m more interested in the native and the indigenous side of places around the world. LC: Where is your favorite place to travel? WOONIN：Oman! It`s in the Middle East as you might know. I am inspired by their culture, it`s just so fresh to me and more over I feel comfortable being on their land. Of course don`t forget about NY and LA, they are my all time favorite too. LC: Do you have any goal/plans? I don`t like to make plans so I try not to make one. My thoughts change form time to time and more so if I make plans I know the pressure of having to attain it will stress me out. I`ll be happy if I could be of help to those who are feeling lethargic and is willing to change.. so I hope whatever I teach be it a trigger for them to change. LC: Do you have any trends that is going on within you? WOONIN：So I`m into Vipassana meditation now. It`s a type of meditation where I can discharge all negative thoughts which I didn`t even realize that was still inside me. It is a way of detoxing my mind.. I feel so good after the training as if my body and mind has been purified completely. It`s interesting how this Vipassana meditation is somewhat similar to clean eating in a way they both allow us to cleanse and detox but one is via our body and the other the mind. LC: Please tell us about your daily healthy eating. WOONIN：Usually when I wake up I drink a glass of water. I then eat a frozen pack of acai with some apple cider vinegar and raw honey mixed. I also like to drink earl grey tea with coconut milk too these days. A litter after that, I toast a slice of gluten free bread and eat it with plenty of grass fed butter. For lunch, I like to eat carrot rappe (grated carrot salad) with toppings such as dried herbs, bee pollen, apple cider vinegar, turmeric etc. I also like to eat freeka, usually boil it with water and salt and make a simple soup. I sometimes add tofu and make it Japaneezy or adding a touch of `Wa`(peace) to eat. LC: Do you have anything in particular you would like to share with all the people out there about beauty of clean eating and superfood? WOONIN：Of course and it`s something which I experienced and it`s how it changes you physically as well as mentally. During my days of being an office lady, I had so many petit physical problems such as constipation, but starting clean eating just changed all of that. It`s just amazing how you can live your days without having to be haunted by all these unnecessary worries and irritations. You even tend to not get distracted by all these products the mass media puts out there which lures complexes of women and men.. In fact you will start to feel you won`t need them anymore as worries you may have had before slowly fades away. You won`t need to take any supplements too or buy products you thought was necessary from drug stores. Deodorants or liners… none. Clean eating just puts your body`s Ph balance back to it`s original state and that`s only the beginning to all the goodness you will experience! Moreover, your mind will be a lot sharper, have less stress and less to spend! When I was an office lady back then, I wasn`t able to recall my true self since I was chronically tired, but after I changed my eating habit, I was able to realize how lively I actually was. It`s not as simple as `let`s change by eating natural food!` but more like.. things will start to slowly fall into place by as you continue to practice clean eating. It helps to prevent and slow ageing too. Once you start practicing clean eating, your body will start to naturally know what its needing. LC: Lastly, could we have a message from you for those wellness / superfood aware lovely people overseas? WOONIN：I would like more people to be aware that Japan has great and quite interesting food for health. There are already a lot of juice bars and other healthy food that are common in the States and other parts of the world but Japan too has our own unique materials and recipes to go with it. I myself love to eat Japanese health foods such as Umeboshi (sour plum), green tea, natto (fermented beans). We all know superfood as something rather powerful and positive but on the other hand, Japanese health food.. even rice.. has a somewhat peaceful image (knowing that `wa` has a meaning of peace and we call Japanese food `wa food`) and this `wa` food has an effect of calming one down. Having said that, these `wa food` such as umeboshi could be considered Superfood as of it`s rich in nutrient characteristics. It's always lovely to catch up with such lovely soul!